In a dashboard full of indicator and warning lights, few are more confusing, frustrating and ominous as the dreaded Check Engine Light. The check engine light is triggered when the computer system that is constantly monitoring your Honda finds a fault, or an issue, that is worth getting checked out. In the event this system does find a fault, it will generate a code that can be read by a Honda Certified Technician. The best case scenario is that your check engine light is on because, during your last trip to the gas station, the gas cap was not fastened all the way. Before nerves or jitters kick in, turn off your Honda, remove then reattach the gas cap and turn your vehicle back on. 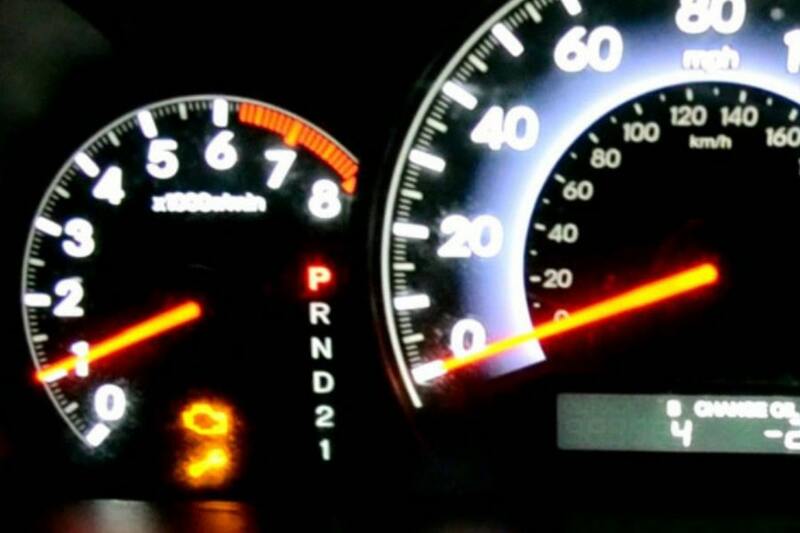 Is the check engine light still there? If it stays on, or the light starts coming on periodically, it’s best to reach out and schedule an appointment with one of Roy Schmidt Honda Factory Certified Technicians. Ignoring your Check Engine Light and hoping for the best can result in catastrophic problems such as leaks, overheating engine or extremely low oil pressure. In the event that your Check Engine light is flashing, Honda recommends you pull over in a safe place and contact your local Honda Dealer. Explain what was going on when the indicator started to flash. Any and all driving changes, smells, resistance, and driving conditions are very important to share so we may properly assess the next step. Once your Honda is in the hands of one of our Factory Certified Technicians, we will be able to diagnose what is causing the fault. Regardless of if your Oxygen Sensor needs to be replaced or if your Catalytic Converter needs a full overhaul or even if it’s time to get a tune-up and replace the spark plugs. If you have any questions about how often your Honda should have its brake fluid addressed, you can always check your owner's manual or speak to your friendly, professional Service Advisor at Roy Schmidt Honda. That is the best way to determine if it is time to get the Brake Fluid Exchange Service done. During this service, one of our Factory Certified Technicians will drain your vehicle of the old, potentially contaminated brake fluid and debris, and replace it with new, fresh OEM Honda Brake Fluid. Roy Schmidt Honda is happy to be the go-to certified dealer and Honda maintenance, repair and service center, serving those in the Effingham, Mattoon, and Vandalia, Il areas. During the diagnosis, and eventual repairs, you can count on Roy Schmidt Honda to use only the best OEM parts available for your vehicle. We offer courtesy transportation to work or home and we have Loaner Cars available for extensive repairs. If you do choose to wait for your Honda, you can enjoy our complimentary WiFi, coffee, hot cocoa and snacks in our comfortable waiting areas. At Roy Schmidt Honda, we also have a state of the art Audio/Visual Conference room for group meetings or conferences. As inconvenient as Check Engine Lights are, with Roy Schmidt Honda we make dealing with these inconveniences that much more bearable.